“Social media monitoring” is one of the trappings of social business, and most organizations are bewildered by the various approaches they could use to “listen to the ecosystem.” No one argues that a key part of social business governance is determining meaningful metrics to measure the impact of interacting in social venues, but how you use metrics to listen and measure is far from obvious, so here I’ll share some insights I’ve developed based on helping clients through the process of selecting a “listening solution” as well as the process that we have used. Based on these experiences, I have developed an offering by templating the processes, but I won’t go into detail about that here. After you have been active in social venues for a while, you can expect to be contacted by representatives of two types of firms: PR agencies that have expanded their traditional media monitoring services to include social media, and representatives of social media monitoring (SMM) platforms. The former uses the latter, but they synthesize the information for their clients and even respond according to predefined triggers, so their clients don’t have to learn the software. I have sat through numerous SMM platform demos with clients. All of the platforms sport useful features, increasingly fine-grained search, workflow capabilities, etc. But the problem with the demo approach is that it is solution- or software-focused, not client-focused. Before we get into solutions, let’s examine when you really need to start thinking about SMM. When Do You Need a Monitoring Solution? It is useful to recognize that “social media” IS media in this context, so you can treat it as such. How sensitive is your organization’s media footprint in general? Do you have highly vocal or critical groups that follow you and may be antagonistic? Your legal and PR people can help you understand the risks you have traditionally faced. Social media can increase all kinds of mentions, but the types of mentions and the motivations behind them will typically resemble those you’ve seen in the past. Most organizations do not have a very sensitive footprint. Looking at the situation from the other side of the desk, organizations are not very effective negotiating partners for agencies or SMM vendors because organizations don’t know what they need. Few organizations want to spend $500-$5000 per month for a solution of whose value they are unsure. This is exactly what most organizations end up doing if they look at it too early. Unless your organization’s footprint is very sensitive, I usually counsel using a bare bones approach (see below) to monitoring until you have had several social business initiatives underway for several months. Only then will you start to know what you really need. The thing is, all these solutions can give you fabulous data, pretty charts and export to your datamart (remember that, and how much you used its information? ;^). None of that matters. It’s like going to a banquet: only go if you know what you want and why. Until you do, it’s a bunch of food on a fancy table. Based on your social business initiatives, ask yourself two questions: what kind of information has helped your teams the most to measure your effectiveness with each initiative? Based on this, think about ways that information could be packaged to make it easier for you to use and respond to the information. 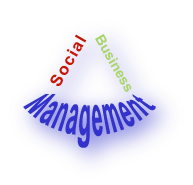 You will need to talk with the different people who have been involved with your social business initiatives. Summarize the findings of your discussions. Think of this as your proverbial “requirements document.” It won’t be perfect, but it will put you on solid ground to start the process because you will have some idea of what you want and need. Your approach to defining and selecting a solution should fit with your culture. Play it loose if you can. If you need a “scientific” or objective approach, get a consultant who knows the ins and outs of the platforms to develop a “selection matrix” for you. These can include quantitative scoring and weighting criteria. In any case, it can be helpful to get advice from a trusted person who has been through his/her own selection process. Have him/her look at your requirements and help you rank their importance. Now look for vendors. At this point, you can decide whether you want a service provider to use the SMM and filter the information for you (so you don’t touch it) or you want to contract an SMM yourselves. Develop a list of three to five vendors. Here is an excellent list of SMM vendors. Schedule demos with two or three of the vendors, and have your key social business people there, the people who interact. Be prepared to be overwhelmed by features, but that’s okay. During the demos, the goal should be to get a general overview of the types of features they offer. Based on what you learned from Step 5, loosely define desired SMM workflows (how you would like to monitor, use the information and how that fits in with your ongoing interactions). Let’s say you have a blog, two Twitter accounts, a Facebook Page and a YouTube channel. Ask the people in charge of them how they measure the impact of their actions. More important, ask them what kind of information would make their jobs easier? Rough out how they would like to monitor information in ways that would make their interactions with social venues easier and more powerful. Schedule a shootout. Vendors will give you access to their platforms for one to two days on average for you to “play with.” You can tell them when you are holding the shootout and ask them to participate by giving you logins during the same time period (the shootout). During the shootout, use the workflows you developed in Step 6 to interact with the platform and take notes on what was easy or difficult. Make sure to have the social business team people scheduled for the shootout. Each contributor runs through his/her workflows and has the structure to compare and score in a meaningful way. Assemble and have each Contributor present his/her findings, and develop your final list. Invite two or three vendors to give you a second demo. Make sure the rep has real knowledge of the platform, so you can go through some of your workflows and ask detailed questions. Also beware of “Oh, that’s scheduled for the next update.” You will hear that a lot. You can’t use that today. It is true that development is torrid, and many things are on the horizon. Select a vendor, and take a short-term contract; reuse this process in six months to reevaluate. They will offer basic online or video training and sometimes advanced training. However, training is usually focused on platform features, so it’s of limited value by itself. In the context of your workflows, it’s much more useful. Recognize that the SMM market is hypercompetitive and that you are beginning. After you have done as many of the above steps as feasible, you will be in a much better position to select something that will work for you. After using an SMM platform for six months, you’ll be in an even better position! As I mentioned above, if possible, avoid selecting an SMM until you have had several months of experience with various social business initiatives. The trade-off is spending thousands on something you don’t know how to get value from and thousands more in staffing cost because you’ll need a person using it and notifying other people of events. Remember, there has been a river of mentions before, and you haven’t heard them. The types of tools in your barebones arsenal will vary based on your initiatives. Realize that there are two types of content you’re probably interested in: public and private. If your social business initiatives are Facebook-centric, for example, some key information might be private, especially if you have Groups. Pages are public information. Private information will have to be searches in-platform. SMMs only search public information. You will need processes to search private spaces within platforms. There are many low-cost social media monitoring tools (links below). Google Advanced Search has undocumented uses that are mind-blowing if someone on your team knows how to structure the searches. However, I would recommend using some of the SMM vendors’ free offerings as well. Many have a freemium pricing strategy in which they give you basic features for free, often indefinitely. I am an SM2 client, for example, and they have a decent freemium version. Although each situation is different, I believe that most organizations will benefit from getting their hands dirty. Stakeholders of all kinds are increasing their use of digital social venues, and they are increasing the depth and breadth of the conversations they have with every passing month. This observation has led me to call social business “21st century dialtone” because people increasing expect organizations to communicate via social technologies. Therefore, most organizations will benefit from developing internal competency. Hence, contracting your own SMM is a better choice for most organizations. You don’t want to be once removed from the biggest revolution in communications since the telephone. And it’s way more scalable. Social media monitoring is just the tip of the iceberg. Sure it has fancy charts, neat graphs, and they’ll tell you a thing or two about who’s talking, but it’s missing a key ingredient: a results-oriented actionable approach that can accurately tie in to business performance metrics and show how social chatter is affecting key aspects of business performance, like revenue streams and profit generation. Basically, how do you make money with social media monitoring? It may seem obvious at first, but when you play around with listening tools for awhile, you’ll start to realize it’s more difficult than you think. That’s why businesses need deeper analytics with the ability to understand social patterns and dissect the underlying motivations of why people say what they say online. They need actionable output like customized reports that tell you exactly what your business needs to be doing to increase profits and increase share of voice in online communities. That’s where the next level appears; social media business intelligence. Just like listening tools, these tools are armed with powerful software to gather social mentions. However, SMBI goes to the next level by delivering actionable insights and a deeper level of analytics so executives can clearly define how to make more money in their social investments. Thanks for the post, and feel free to shoot me an email if you want to see how social media business intelligence benefits companies.